Valuable tips and advice are yours from Tradewinds Travel Club. Explore the world more and take advantage of the resources to help you from Tradewinds Travel Club. 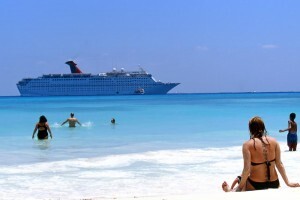 Cruising is an effective way to save money when you travel if you know how to do it right. As cruising is generally considered “all inclusive”, cruising is an effective way to better make and stick to a budget however, there are always aspects of your “all-inclusive” which are not included. To help you make more of your money, here are a few valuable tips to remember when planning your next cruise. 1. Pack the necessities. Although generally you will find all the supplies you need including bandaids, aspirin and anti nausea medication, you will also find that this feature of cruising can cost a pretty penny. Consider packing first aid kits with the basics included to avoid spending more money than you did not budget for. 2.Know where you are going before you go. This will help you budget correctly. Though many aspects of your cruise are all inclusive while onboard the ship, the moment you set foot on land, you are on your own budget. This means that you need to consider what your port of call is and what you plan on doing while you are there and budget accordingly. 3.Arrive early for your trip. This is especially important when dealing with travel during the poor weather season. If a storm comes up, your cruise may leave port early and you will be out your money. Make sure not to waste your trip money by being late to the ship. 4.Tipping is an important part of planning your budget. Understand that your cruise ship is more like a floating city. You will be going to restaurants and sleeping in a room that will have a steward. If you would tip someone on shore, you should consider tipping them onboard as well. 5.Take your own pictures. Photographers are everywhere, snapping your picture and expecting a payout when you see how good you look. If you do not feel like spending $20 for a photo of yourself, instead, take your own pictures and politely say no thank you. Tradewinds Travel Club wishes you only the best when you travel. Offering you tips and advice to help you plan and enjoy better, we hope that you have learned some valuable tips to help you. Join us next time for more tips and advice to help you from Tradewinds Travel Club.